Women's Motorcycle Ride: A Sisterhood of Iron and Leather | Hupy and Abraham, S.C. There were a lot of things going on during this year's Milwaukee Rally, which started on Thursday, August 31, but for many, the annual Women's Ride on Friday morning of the rally each year singles the true start of the rally. In recognition of Harley-Davidson's anniversaries (celebrated every five years), the Women's Ride stops registration at the number of the particular anniversary for the motor company. This year is the 114th anniversary of Harley-Davidson so the registrations were limited to 114 women riders. As happens each year, the ride quickly sold out with women eager to reunite with old friends and make new acquaintances. The ride starts from the Harley-Davidson Museum after an opening ceremony highlighted by Bill Davidson welcoming all the women to Milwaukee. 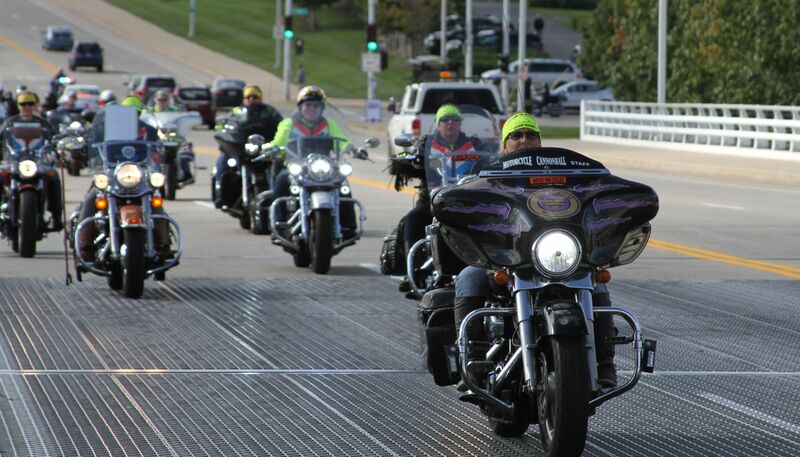 The Milwaukee Police Department motor patrol officers guide the women from the museum to the Milwaukee County limits, providing support and traffic control all the way. From there, the Road Guardians all-female corps takes over on the tour of the Southern Kettle Moraine area of Wisconsin, ending at a restaurant near Hartland for a meal, raffle drawings and surprises. Each year, the money raised in registrations is used to help Accident Scene Management, Inc. train cadets at the police academy on motorcycle trauma and first response techniques. Accident Scene Management director and Road Guardian Founder Vicki "Spitfire" Sanfelipo has coordianted this ride from the beginning with the Milwaukee Rally organizers and the help of her dedicated core of women road guards. 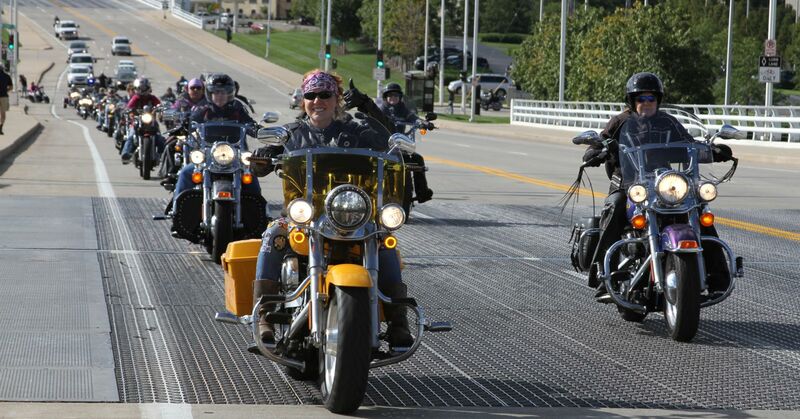 After the lunch and closing activities conclude, the women go their separate ways to join the various activities at the metro-Milwaukee dealerships sponsoring the Milwaukee Rally or the Harley-Davidson Museum. 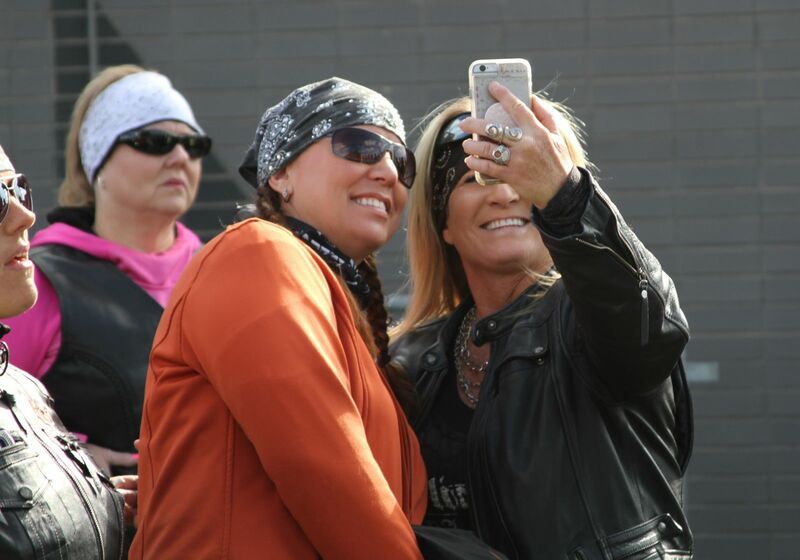 Next year, Harley's 115th Anniversary, 115 lucky women will be able to continue the tradition of bonding with other women who enjoy riding motorcycles. All brands are welcome, but of course, the predominant brand is Harley-Davidson.